Porsche fans can look forward to an expanded Rennsport Reunion next year. (Photo courtesy of Paul Moseley. An expanded, four-day Porsche Rennsport Reunion will take place at Mazda Raceway Laguna Seca next year, Porsche Cars North America has announced. The upcoming “Family Reunion” is booked for Sept. 27-30, 2018 at the famed California facility. 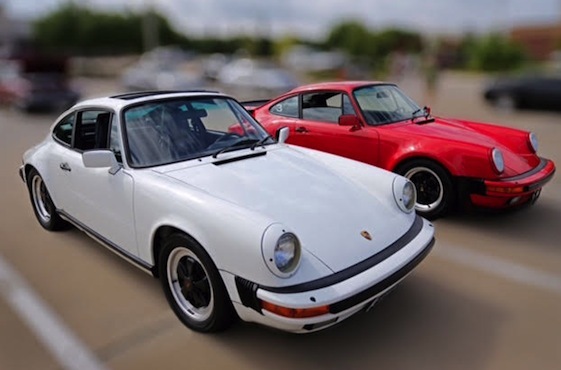 In what has become a tradition, Rennsport Reunion VI will bring together an extraordinary gathering of significant Porsche race cars, as well as those who have designed, engineered and driven them to victory in the world’s most famous sports car races. Hosted by Atlanta-based PCNA, the program of on-track competition will be complemented by a Concours d’Elegance, open to invited race participants. After staging the first three events in the east _ with the inaugural at Lime Rock Park in Connecticut in 2001, followed by two events at Daytona International Speedway in Florida in 2004 and 2007_Rennsport Reunion IV moved west in 2011 to tap into an array of West Coast car aficionados and Porsche enthusiasts. Returning to a three-year interval, the event has turned into a world-wide happening. During Porsche Rennsport Reunion V in 2015, over 1,300 Porsche Club of America member-owned Porsche models helped fill the show fields, race classes and parking lots of Mazda Raceway Laguna Seca to overflow capacity. For the upcoming sixth rendition, the PCA once again will play an integral role in the festivities.